My parents were hippies, so protestors occupy a soft spot in my heart. There’s something uplifting about people so committed to a cause they’re will to march around holding signs, let themselves be chained to a tree, or even get locked into some kind of weird device that looks like it belongs in a horror film. Politicians aren’t quite as dramatic which I suppose makes them more dangerous. It certainly makes them less endearing than the Birkenstock-wearing crowd while advancing legislative proposals that are more about fearmongering than facts. Either way, tugging at heartstrings is a good way to get in the press, especially where the more than 1,000 Superfund sites across the United States are concerned. These are places where toxic materials were buried – either illegally or because no one at the time knew better – and have to be cleaned up under authority of the U.S. Environmental Protection Agency. In the case of West Lake Landfill, a Superfund site just outside St. Louis, Missouri, a curious thing has occurred. The political left – which would usually move heaven and earth in favor of site clean-up issues – is actually keeping this one site from being remediated. This is not fake news. Environmentalists are actually preventing the West Lake site from being cleaned-up because the government won’t do it their way. Having land you own under the supervision of the EPA is usually a nightmare for business. It costs time and money and sometimes people end up going to court. In this case things haven’t been so bad. The soil in and around the landfill has been studied, the dangers from the radiological materials buried there have been evaluated, and plans have been discussed. Admittedly the whole process has taken far too long – about 30 years — but just when it looked like the EPA was on the right track and was ready to start on a plan that would secure the site for the long-term, isolate the contaminants, and have it all paid for by the company that owns the property the environmental groups began raising objections. They’ve been putting roadblock after roadblock in front of the process. They have drafted politicians to their cause, they’ve enlisted the support of unions, they’ve even called on the United Nations to intervene — all the while using the tactics of community organizers like Saul Alinksy to spread fear, distrust, and junk science throughout the the community of people living nearby. The latest development is a proposal that would literally offer a buyout to nearly ever homeowner living near the site. When I first heard about this piece of legislation I hoped it was merely a messaging bill – a public relations ploy to raise awareness of the need for a clean-up. Except it passed the Missouri Senate by a vote of 30 to 3, hopefully because those voting “aye” didn’t understand what they were voting for. The science doesn’t back up their reasoning; if it did it could lead, eventually, to an argument for a bailout of tens of thousands of Missouri homeowners living near sites that one environmental group or another declares to be toxic. That would be a pretty hefty Show Me State price tag. The Environmental Protection Agency has previously said that despite radioactive waste and an underground fire at the (nearby) Bridgeton Landfill, there’s no increased risk for neighboring residents. The agency also hasn’t found evidence that radioactive material has migrated beyond the landfill. We don’t have to take the EPA’s word for it. Science, good science, backs them up. Most of the soil sampled around the landfill is less radioactivethan anywhere in Missouri, and by a considerable factor. When I say “most,” every sample showed merely 25 percent of the contamination any Missouri resident would expect find in their front yard. There’s only one exception, and that one was just 6 percent higher. On this data alone Missouri Senators have voted to spend up to $12.5 million to buy the houses of people living in just one development near West Lake landfill. .
Last year, at the urging of the left, who insisted science is more like a data lottery, the EPA announced even more community testing. The results have not yet been announced but there is little reason to believe they will show anything different than previous federal or state studies have shown. Why did the Senate need to rush through a vote before the data they knew was coming was in? Almost none of the politics around West Lake Landfill makes sense. 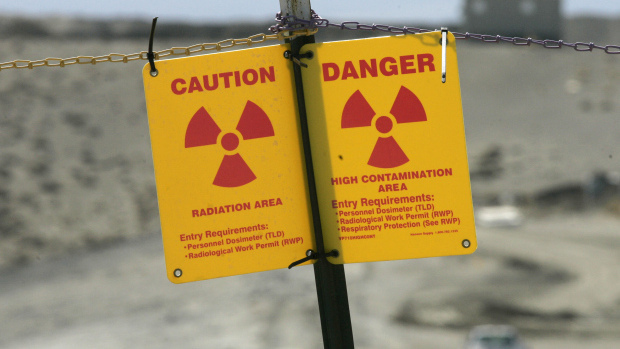 The facts are easy – waste from the Manhattan Project was illegally dumped there decades ago. The waste was found, and the site was deemed a Superfund Site. Years later the EPA finally figured out a plan. But, the facts and the actions don’t match in this case. When the left didn’t like the EPA’s plan – it didn’t require the use of Union labor is one my guesses – they started doing everything that they can to delay, impede, and throw temper tantrums. If the left just wanted to have a drum circle and sing some songs – I am game. My goodness, nowadays they protest so much I mark the days when they aren’t protesting. But, when the left wants to impede the progress of cleaning up and securing a toxic waste site as well as spending money that could be used to build infrastructure or educate children based on nothing, then count me out. It’s not groovy.